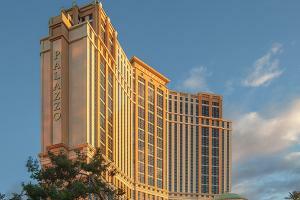 The Palazzo at the Venetian is an escape to a life of luxury. Each suite at The Palazzo is specifically fashioned with your comfort and convenience in mind, from sunken living rooms decorated with a distinctly modern European design, to elegant marble baths. Befitting such accommodations are the miniscule touches and unparalleled service you expect from a palatial stay. A variety of cusines including French, Italian, and American fusion.